What appeared to be a glitch earlier this morning is now intentional: Fable III is completely free for Xbox Live Gold subscribers (probably to promote the original game's HD re-release later this year). Just go to the title in the On Demand section of the Marketplace and you'll find it there for download. The game is 5.61 GB. 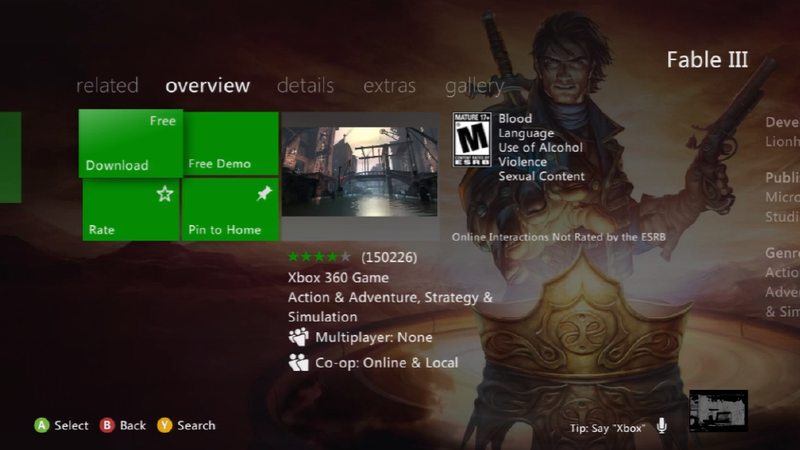 We&apos;re getting reports from readers that Fable III is currently available for free on Xbox Live.